With the messy job of installing backing plates done, it was time to focus on the deck and cockpit. 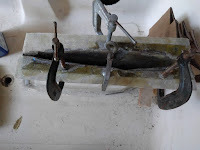 Structurally, the daggerboard flange would need to be rebuilt. 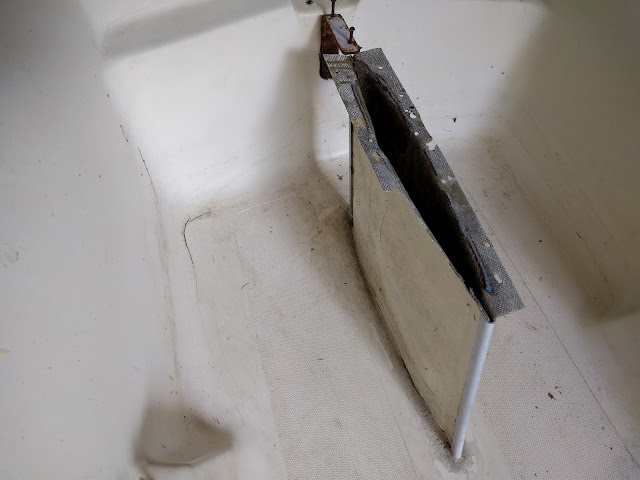 The interface between the cockpit sole and the daggerboard trunk was also suspect. 1. 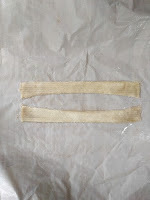 Cut and epoxy 2 layers of 1708 biaxial cloth for each side off the boat and let it cure. 2. Using a rasp, file down the lamination for each side so that it fits under existing flange then epoxy in place with West System 610 using clamps. 3. 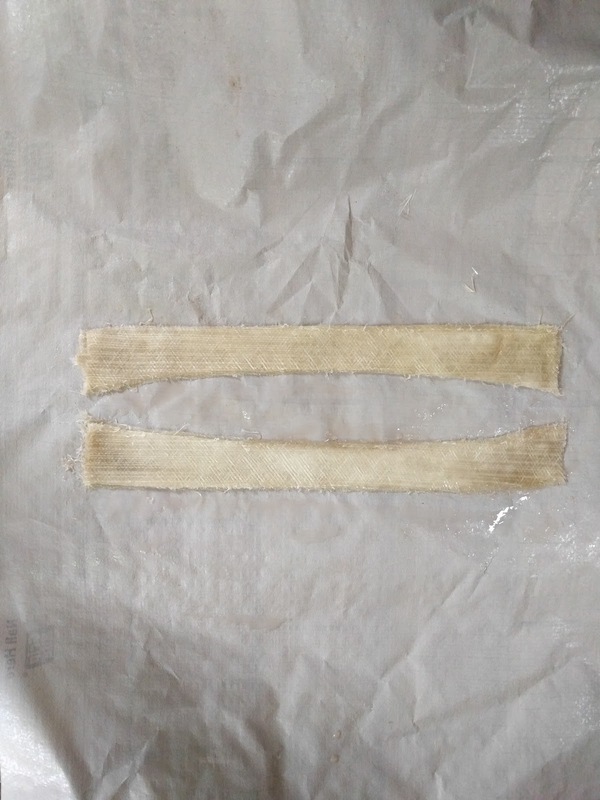 Once cured, apply a layer of fairing compound to even up the top of the flange and sand it down once cured. 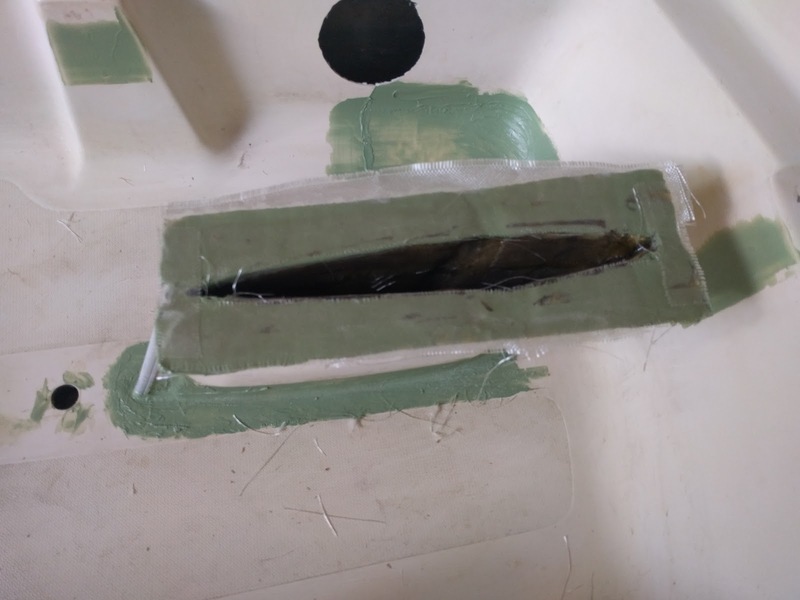 Follow up with a layer of 6oz cloth over the top and wrapping into the daggerboard trunk and a layer of 6oz cloth underneath the flange, wrapping down the outside of the daggerboard trunk. 4. Sand it all down and using a cutoff wheel trim the edges so it matches up with original dimensions. If you look closely in the photos, you'll see that other work was going on at the same time. 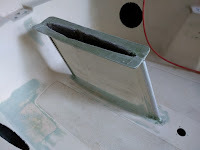 On the daggerboard trunk/cockpit interface, I laid down a fillet of 610 epoxy and then put a 6oz strip of cloth on either side of the trunk, followed up with a coating of unthickened epoxy to tie it all together. 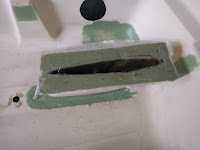 I also applied a patch in the corner of the cockpit where there was a crack in the laminate and faired it at the same time as the rest of the daggerboard trunk work. Finally, I filled all the various screw holes, dings, and scratches in the cockpit in preparation for primer.